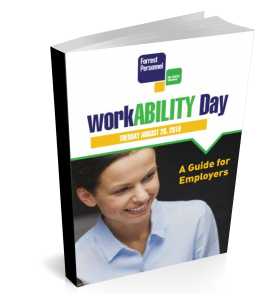 WorkABILITY Day is an annual event intended to bring employers and job seekers together for one day. 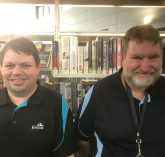 The initiative is designed to broaden awareness that those with health conditions, including mental illness, disability or injury, can bring a range of skills and experiences to a workplace. Both the employer and the job seeker can experience what it is like to be assisted by Forrest Personnel through the induction process, be supported on the day, and help to create potential opportunities. WorkABILITY Day for employers. Celebrate workplace diversity by hosting someone keen to work for your business who happens to have a health condition or a disability. To learn more view our Employer Guide. WorkABILITY Day for job seekers.Spend a day exploring a job you’re curious about in a business that’s keen to support you. To learn more view our Job Seeker Guide.